The rise of the Industrial Internet of Things (IIoT) has afforded many companies the opportunity to breathe a sigh of relief. Robust sensor networks provide an invaluable tool for optimizing operations, while intelligent software enables preventative maintenance strategies that keep equipment running smoothly. But with the slow-growth economy, slumping commodity prices, and a tighter regulatory environment, operators face increasing pressure to achieve peak efficiency and make the best possible use of uptime. That’s often easier said than done. Boosting productivity for a single piece of equipment can be a daunting challenge. Optimizing throughput and efficiency for a sprawling, global asset portfolio is virtually impossible without the proper technology. Driving fleet-level efficiencies requires fleet-level visibility, as well as powerful software to mine large and disparate datasets for actionable insights. That’s where our Operations Performance Management (OPM) solution comes in. While APM gathers raw asset data to make sure equipment is being optimally maintained for the needs of the business, OPM focuses more on how to best run the business itself. 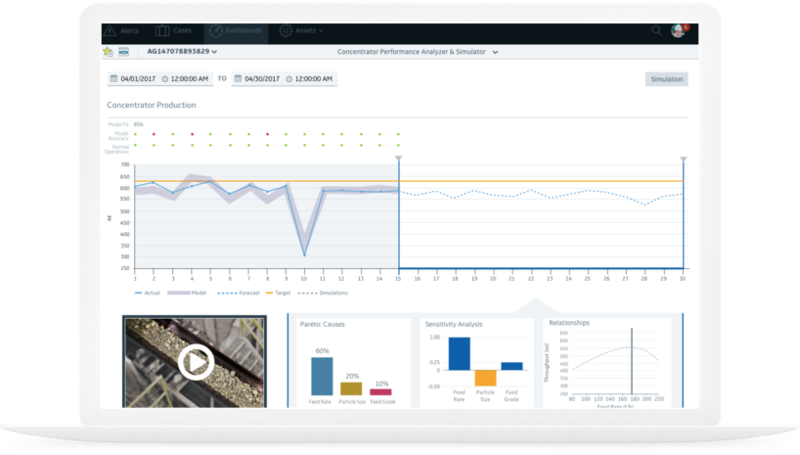 Operations Performance Management enables industrial organizations to increase revenue and margins by optimizing the performance and throughput of plants, sites, and portfolio. The Operational Intelligence component looks at throughputs and key performance indicators (KPIs) throughout the value chain to provide a comprehensive understanding of margin erosion. From production and refinement to transportation and delivery, OPM applies standardized KPIs to each phase of the process to find inefficiencies and provide clear benchmarking. These insights enable operators to streamline industrial processes and run assets more productively. Next, Forecasting and What-If Analysis offers decision support based on real-world trends. What are the causes of process deviations? How do factors like weather and market volatility impact margins? What are the thresholds between profitable and non-profitable facilities? Finally, Process and Product Optimization uses linear and non-linear solvers to optimize business outcomes. This capability pulls in financial goals, as well as emissions, margin, and even upstream constraints. For example, if a process is operating optimally, but creating too many emissions, the operator may be forced to shut off production ahead of schedule. To avoid violating emissions targets, OPM may suggest a lower rate of extraction to achieve maximum margins. The above screenshot shows the Performance Analyzer & Simulator and Performance Optimizer capabilities within OPM. Already, OPM is delivering outsize benefits to early adopters. These often exceed the savings realized through APM by many multiples. For one oil and gas company, OPM was able to shave nearly $9 million from its annual operations budget, in addition to a staggering $180 million in lifetime savings. 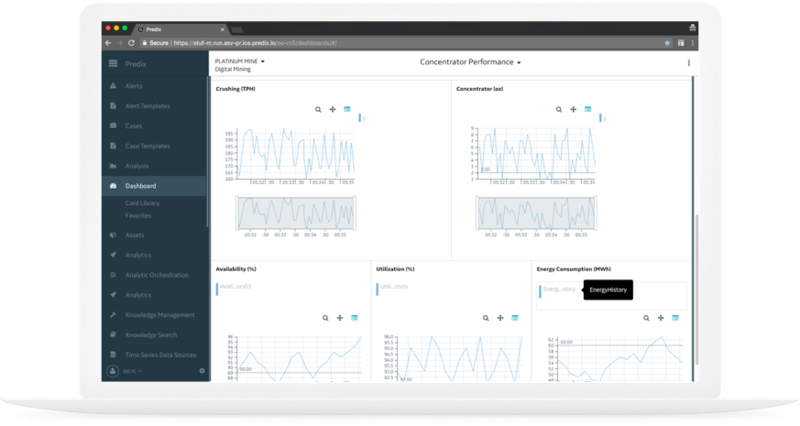 With these capabilities Operations Performance Management enable operators to close the loop on end-to-end IIoT — providing not just a live view of what’s happening across an asset portfolio, but meaningful operational insights that can be applied to improve efficiency, plan for the future, and optimize production.